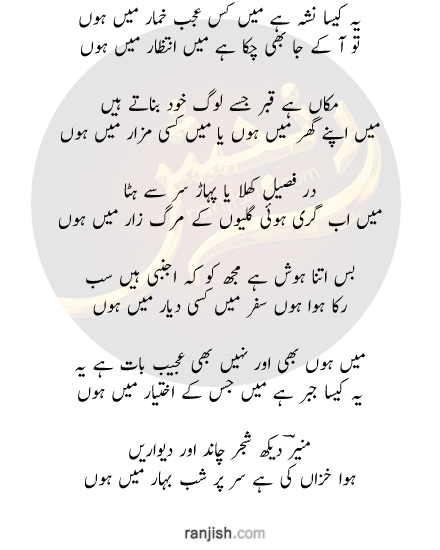 Ranjish.com has lots of Urdu Munir Niazi Poetry. 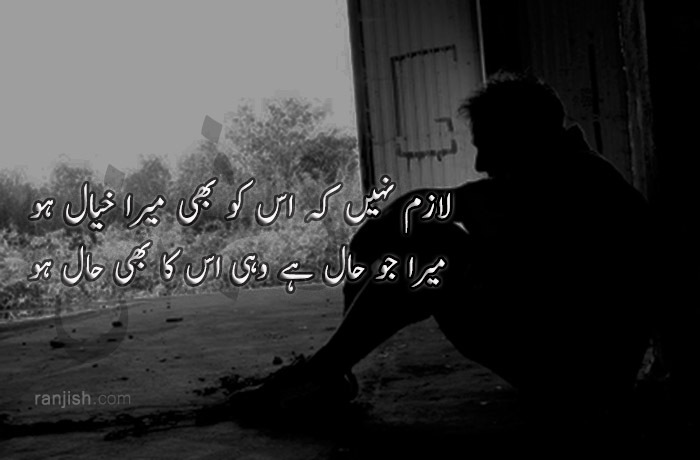 Feel free to add your own Munir Niazi Shayari here. 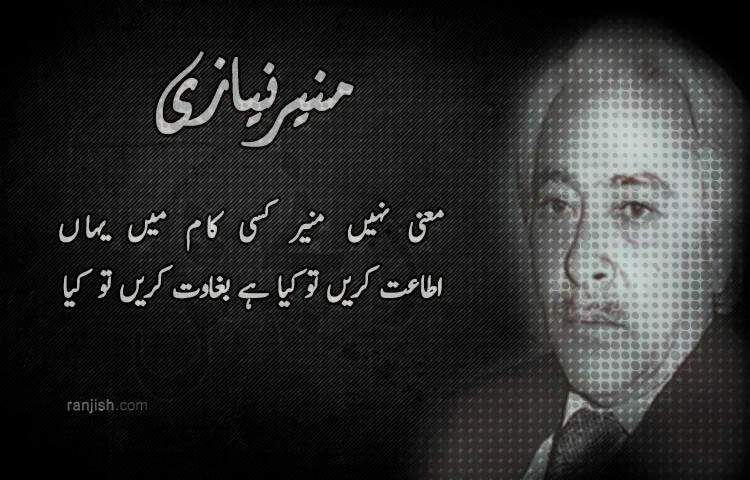 Munir Niazi was born in Khanpur to the Niazi tribe. 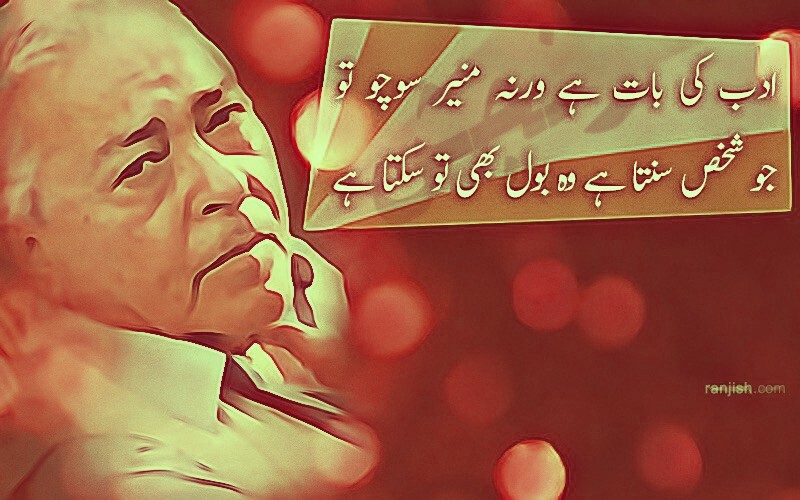 “Taiz Hawa Aur Tanha Phool” was his most popular book although “Jungle mein Dhanak”, “Dushmanoon Kai Darmiyan Sham” and “Mah-e-Munir” also did quite well all over the world. 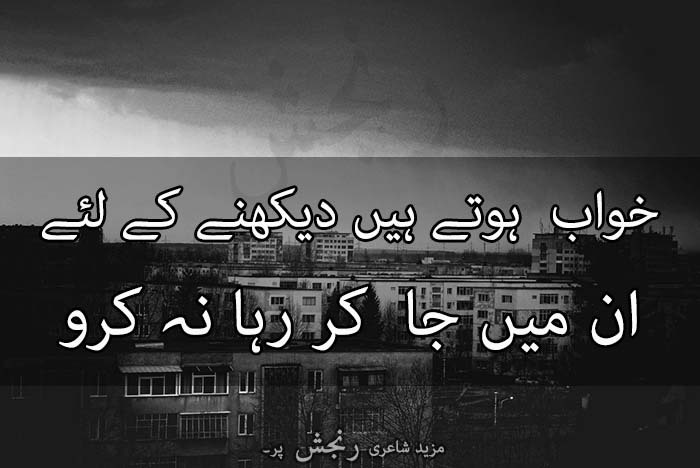 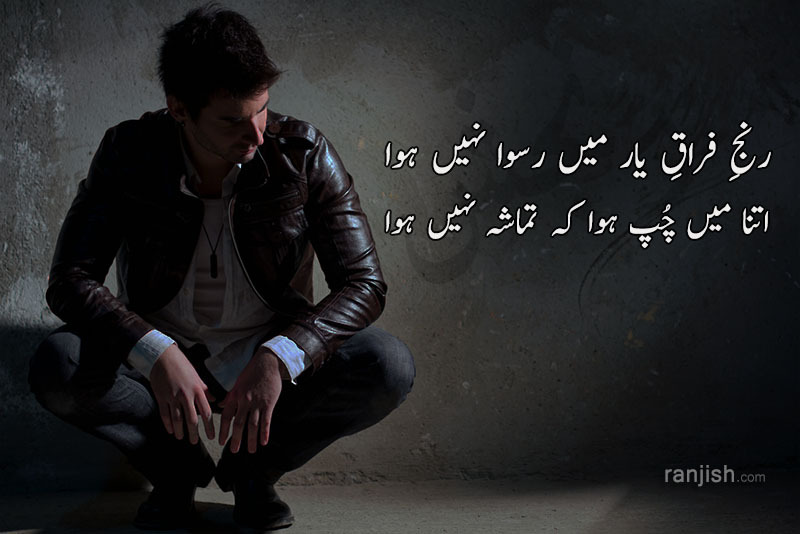 We bring you the best Munir Niazi Poetry right here at one place. 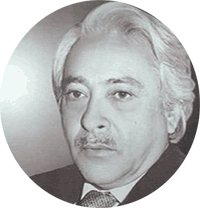 Shikwa karen to kis se shikayet karen to kya..
Itaat karen to kya, baghaawat karen to kya..
We update our poetry database on daily basis so keep coming back for more Munir Niazi.